SEO requirement focuses on improving the visibility of website contents in pages and posts through search engines. Every search engine has its own method of authentication, crawling, frequency and many other criteria for searching and indexing your website. Keeping all these points the SEO functionalities should be prioritized to ensure appearance in the topmost position Google, Bing and other search engines. In addition the below checklist should be followed to ensure the effectiveness of website for SEO. Whenever you write a new article or post, make sure the following are implemented to ensure that the post is fully optimized. Plugins are extremely useful for building great WordPress websites but using the wrong one or having too many of them installed will slow down your site and affect your optimization. Below are a few tips to help you better manage and optimize your plugins. 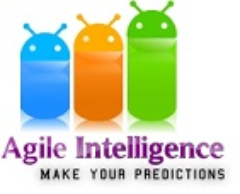 I just checked out your website agileintelligence.in and wanted to find out if you need help for SEO Link Building ?